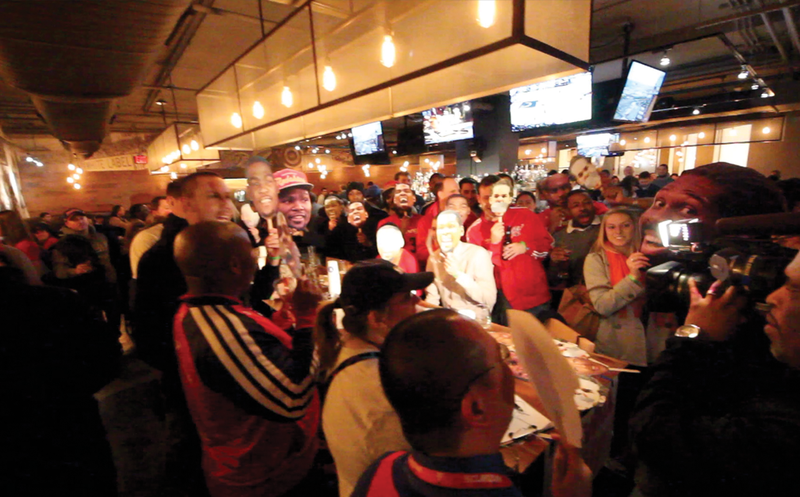 On Saturday night, Wizards fans and Hoyas fans alike gathered just outside of the Georgetown University campus at the famous Tombs bar to celebrate an athlete who has done so much in DC over the past 5 seasons, Otto Porter. From his days as a Big East player of the year with the Hoyas to his drafting and ascension into the Wizards starting lineup, DC has watched Otto grow. While DC fans took over the Tombs in Georgetown to celebrate the hometown hope with Otto chants, masks and posters, Porter was in Dallas leading the Wizards to a win while achieving a career high in scoring with 28 points. 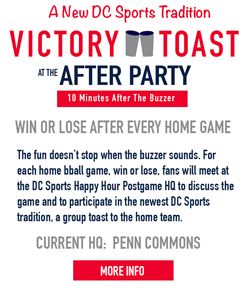 As the final buzzer sounded there were smiles all around as the Wiz Happy Hour crew high-fived and saluted Otto Porter with a victory toast. The Tombs has been a staple to students since the 1960's and there was no better location to hold a party for a Georgetown alum. Fans started arriving about an hour before the game and by tip-off there were dozens of fans watching the game on the big screen with audio. The bartenders at the Tombs are first class and always kept the drinks flowing, including two signature drinks, the Hoya Blue and the #22 created especially for Ottofest, as fans enjoyed some good basketball and sports talk. During breaks in the action there were multiple raffles and a few lucky fans went home with prizes. 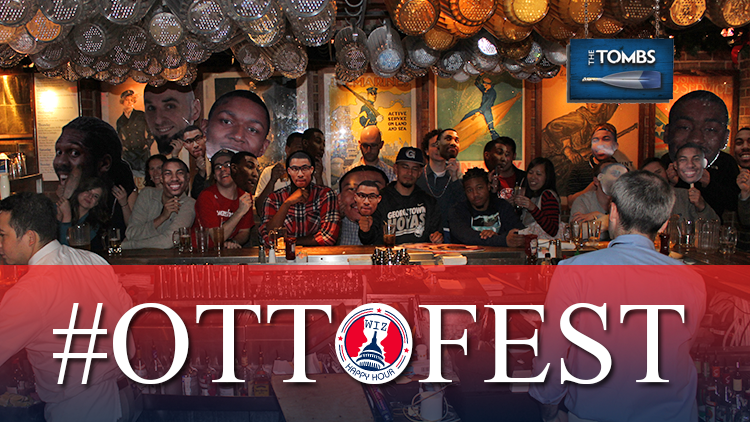 A Drew Gooden autographed photo, a gift card to the Tombs and the grand prize, an Otto Porter autographed photo. The Ottofest event was a huge success and a great experience for Wizards fans and Georgetown Hoya fans. We definitely want to do this again next season! Thanks to everyone who came out, thank you to the great people at the Tombs and I look forward to seeing everyone at our next big watch party!